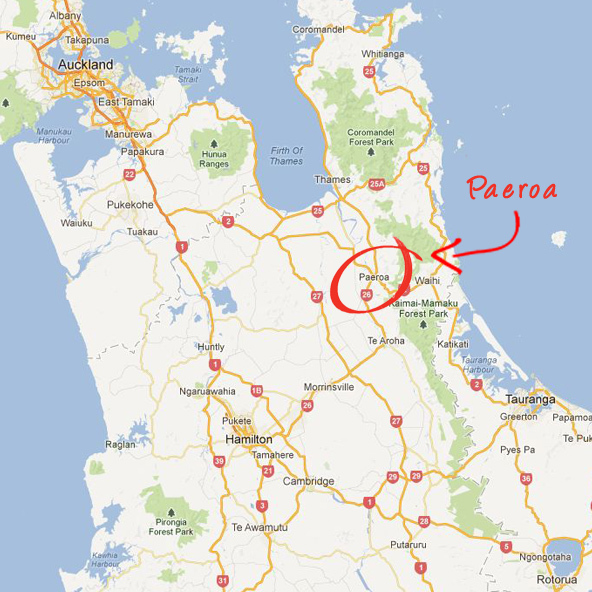 Paeroa Golf Club is located in the small rural Waikato town of Paeroa, 6km from the town centre. In order to get there from town, head over the Criterion Bridge on SH26 towards Hamilton. 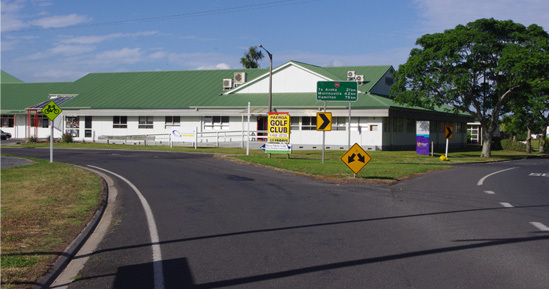 Take the first road on the left (Rotokohu Road), just after the soccer fields and just before the local high school. The turn off is signposted, advertising the golf course. Continue heading down Rotokohu Road for approximately 5km until you reach the club (on the right). Rotokohu Road turn off (left) from SH26 to Paeroa Golf Club. 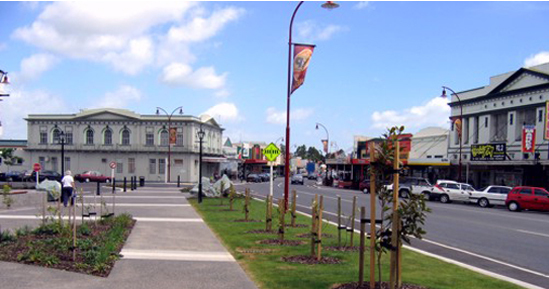 Paeroa is a small rural Waikato town located at the base of the Coromandel Peninsular. 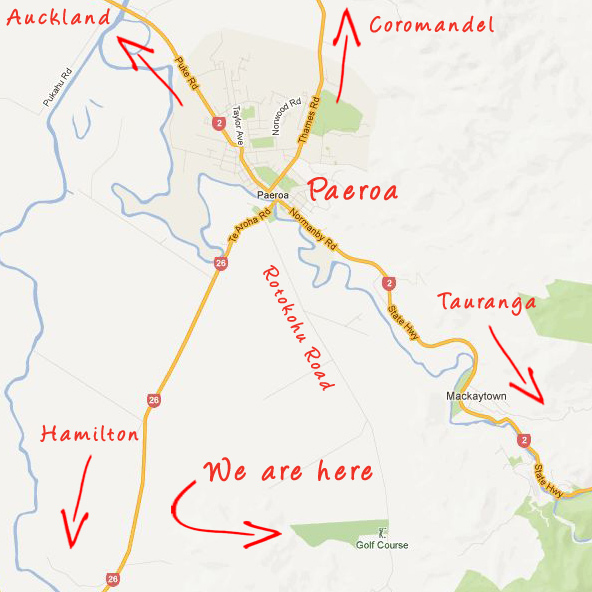 It is found at the junction of State Highways 2 and 26, and sits on the banks of the Ohinemuri and Waihou Rivers. A central town, the cities of Auckland, Hamilton and Tauranga are all within an hours' drive, with the tourist destinations of Rotorua and Taupo no more than two hours' drive away. An abundance of beautiful Coromandel beaches are also within a stones throw. 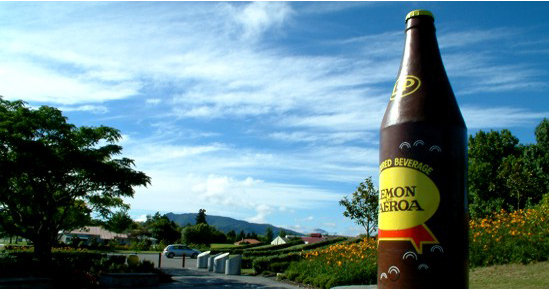 Paeroa is famous as the birth place of the popular soft drink, L&P. 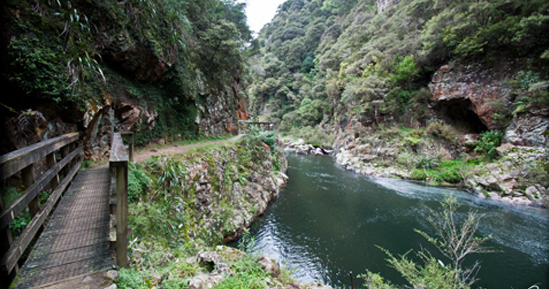 The town is also blessed with a rich history of gold mining, centred on the gold fields of the nearby Karangahake Gorge. Though these gold fields are no longer operational, the gorge still provides a stunning opportunity to take in nature through its many walking tracks. Entertainment and events are also plentiful within the community. Paeroa annually plays host to the popular "Battle of the Streets" motorcycle street race, as well as the Highland Games and Pipe Band Tattoo. The rail trail also proves very popular with cycling enthusiasts. Special mention must also go to the numerous sports clubs within the community, all providing an enjoyable social environment. Visit the Positive Paeroa website.